We are urgently looking for young, energetic and target driven people to fill up vacant call centre positions in insurance and medical aid companies. 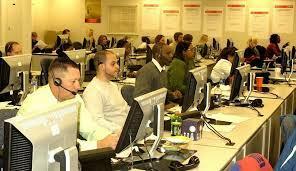 Our work stations are situated in Midrand, Johannesburg, Sandton and Rosebank. No experience is needed as inexperienced applicants shall go through training for 5 working days before starting to work. Grade 12, Matric certificate or its equivalent, good communication skills and basic computer skills ( if any). All applicants should be currently residing in Gauteng province to avoid travelling long distances and should be between 18 - 30 years of age. Salary ranges between R 6800 - 15500 per month including basic, commission and incentives.